Queen Sonja of Norway and Crown Princess Mette-Marit of Norway attend the opening of the TUR conference hosted by of the Norwegian Trekking Association (Norwegian: Den norske turistforening, DNT) on November 13, 2015 in Oslo, Norway. Beautiful.... Her hair is so smooth and lovely.. HRH is a natural beauty.. 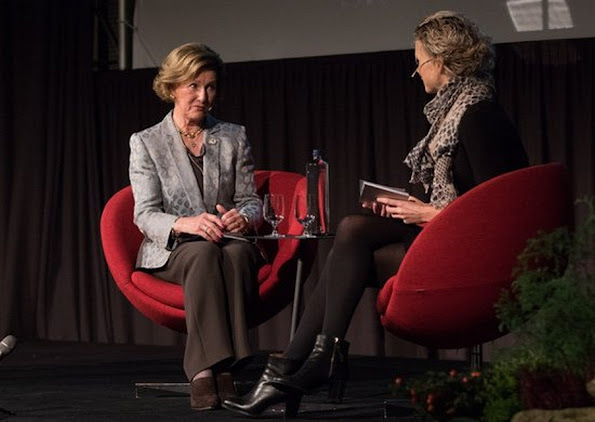 Yes, agree Queen Sonja is really glamorous and lovely. Both queens Sonja and Beatrix were gorgeous grannies at Art Exhibition - wow! 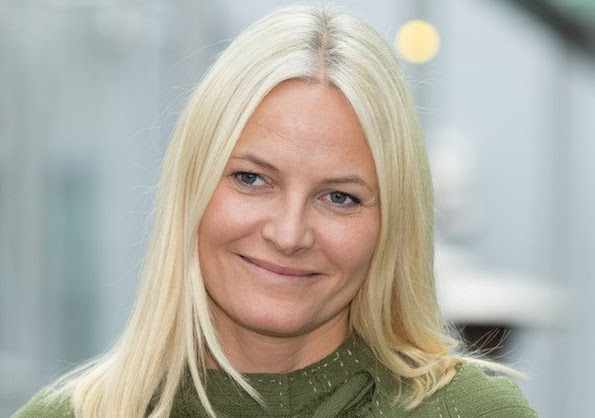 Great to see Princess Mette and NRF having more publicity or doing more public events. Love Prince Haakon (next to Prince Henry Wales, for his gorgeousness, dedication, hard work, service to grannie QEll, his dad Prince of Wales and people globally). 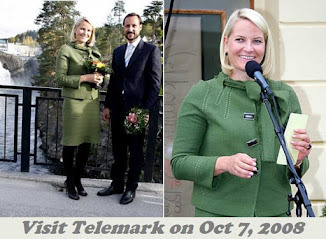 Princess Mette Marit looks great! She lost weight.. She looks happy! This shows that you can use your clothes again and again and again even if your royals. Good done MM! always those black stockings, pantys. We have seen Victoria in her last 4 outfits with black hose, but no comment...why? How difficult can it be to understand that fashion say you should wear black hose, and it's no no to wear light or brown. As they say dark or no hose at all, and since it's winter in Norway she can't go without..can she? Only old ladys wear light hose! They are doing NOTHING wrong with wearing dark hose! 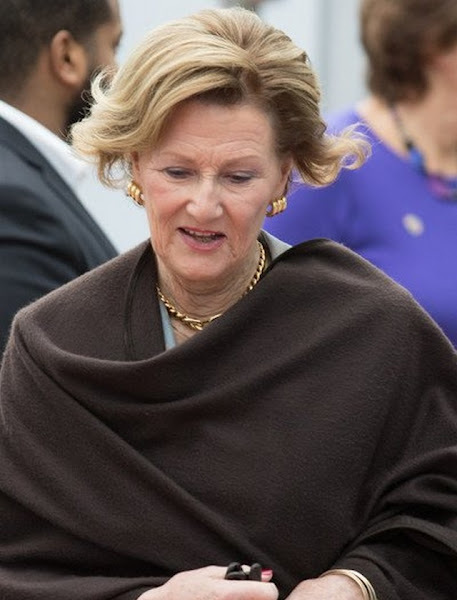 Queen Sonja is so beautiful.